Among nineteenth-century women novelists (aside from the Brontë sisters, of course) Elizabeth Gaskell may be one of the best known to modern readers, if for no other reason than several of her works of fiction have been made into television series--in 1999, the BBC aired a four-part adaptation of Wives and Daughters; in 2004, the BBC produced a four-episode mini-series of North and South; and a 2007-2008 BBC adaptation of Cranford, starring Judi Dench and Eileen Atkins, earned BAFTA, Emmy, and Golden Globe awards. All three productions aired in the US on PBS. Born on 20 September 1810 in Chelsea, Elizabeth Cleghorn Stevenson was the daughter of William Stevenson, a Unitarian minister, treasury official, and journalist, and Elizabeth Holland, whose family also had strong Unitarian connections. 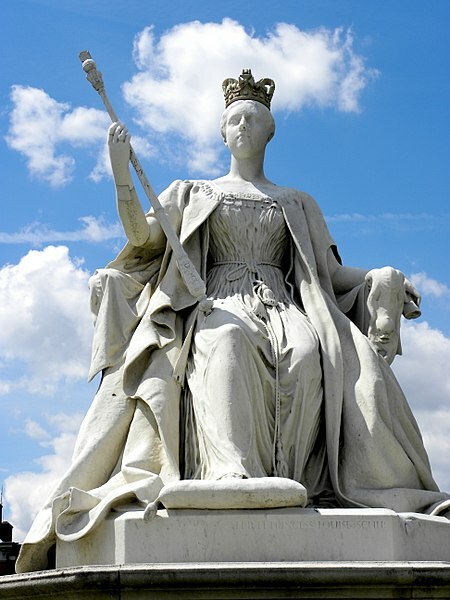 Elizabeth was the youngest of their eight children (only two of whom would survive infancy). 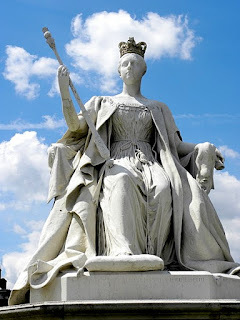 Her mother died in 1811, just months after giving birth to Elizabeth, who at thirteen months old was sent to live with her mother's sister, Hannah Lumb, whom Elizabeth would later describe as "more than a mother." William Stevenson remarried, raising a second family with his second wife, Catherine Thompson, while Elizabeth remained with her maternal family in Cheshire throughout most of her childhood. The Cheshire market town of Knutsford, where Elizabeth lived with her aunt, was transformed by fiction into the town of Cranford. In 1832, Elizabeth Stevenson married William Gaskell, a Unitarian minister associated with the Cross Street Unitarian Chapel in Manchester. 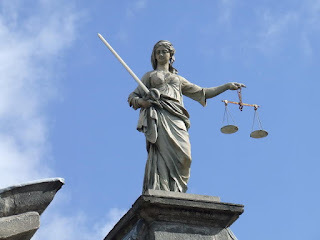 As the Gaskell Society describes it, Manchester in the early nineteenth century "was a great cultural and intellectual centre, boasting institutions like the Literary and Philosophical Society, the Mechanics Institute and the Athenaeum. 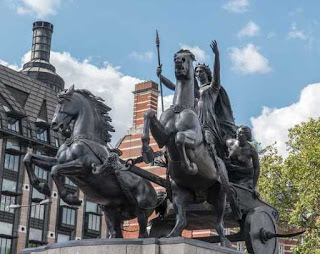 It was at the forefront of the new industrial age, but this rapid growth, as well as generating much wealth, also led to uncontrolled urban development and appalling squalor." 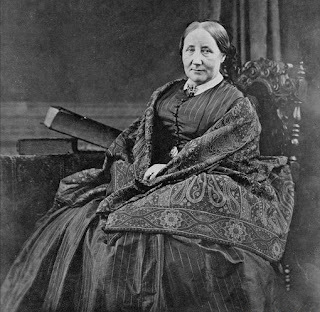 In her new life in the city, Elizabeth Gaskell worked with her husband to offer aid and support for the poor and to teach reading and writing, in addition to Scripture, in the Unitarian Sunday school. She observed the radical politics and social tensions of the city--as she would write in the preface to her first novel, Mary Barton (1848), "I had always felt a deep sympathy with the care-worn men, who looked as if doomed to struggle through their lives in strange alternations between work and want." During the first years of her marriage, Gaskell gave birth to three daughters (1834, 1837, 1842), and she began writing, publishing several stories. 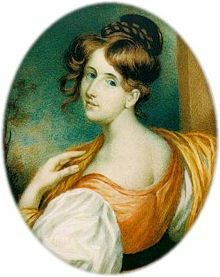 But after the death of her son, who died of scarlet fever in 1845, just nine months old, Gaskell began writing a novel, at her husband's suggestion, as a way of distracting herself from her profound grief. That novel, Mary Barton, depicted the dire circumstances of industrial workers in the city of Manchester, profoundly affecting the public conscience. It also brought Gaskell to the attention of Charles Dickens, who included her work in his publications and helped her to become one of the most popular authors of her day. 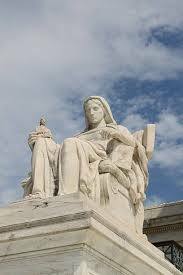 Gaskell did not avoid controversy. Her novel Ruth, published in 1855, tells the story of a young seamstress who works in a sweatshop; seduced and betrayed by her lover, she attempts suicide and gives birth to an illegitimate child. Although the "fallen" woman ultimately redeems herself, she is never allowed to be happy or fully reintegrated into society--though after her death she is praised by those who knew her. 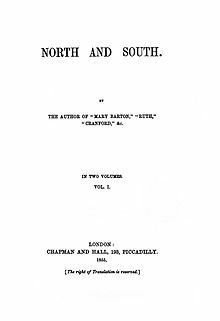 North and South (1855) is an example of what is now called a "social novel," focusing on the tensions between employers and workers from the perspective of a young woman who moves from her home in the rural south of England to live in the industrial town of Milton, a fictionalized Manchester. Sylvia's Lovers (1863) is set during the Napoleonic period, and unlike her more well-known work, is a story of obsessive love, enforced military service (the notorious press gangs), dutiful marriage, and the eventual realization that an unloved husband is loved after all. Gaskell's last novel, Wives and Daughters, was published in serial installments from August 1864 to January 1865, but Gaskell died before she completed the coming-of-age story of Molly Gibson, whose father remarries, bringing into the young girl's life a pretty but dangerous stepsister, Cynthia Kirkpatrick. Gaskell was also a friend of the novelist Charlotte Brontë, whom she met in 1850, and she wrote the first biography of Charlotte, who died in 1855, based on their shared correspondence. The biography was published in 1857, and it provoked controversy--in her work, Gaskell suppressed some aspects of her friend's passion for the married Constantin Heger, while emphasizing the dissolute nature of Charlotte's brother Branwell and overemphasizing the Brontë sisters' isolation. Gaskell faced the prospect of lawsuits for her depictions of many Brontë friends and acquaintances who objected to Gaskell's depiction of them in the biography. Gaskell died suddenly of a heart attack on 12 November 1865 in Hampshire, where she was buying a home that was to be for her retirement. She was just fifty-five years old. Her last novel, North and South, was unfinished. If you enjoy podcasts, you will want to listen to this episode of In Our Time, "Elizabeth Gaskell's North and South" (click here).